Chris Johnson, President. Chris grew up on McDonald Street in Bucksport. He has been gardening since youth, and recently completed the Master Gardener program. 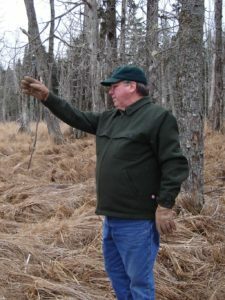 His interest in nature also includes forestry, birdwatching, beekeeping, and weather monitoring. His work experiences include news writing, radio/tv commercial production, and management of an in-plant printing department, and other leadership responsibilities. After retirement, Chris became more involved in local and regional civic issues. He is a local “spoke” for the Bicycle Coalition of Maine. He is also a member of the Maine Woodland Owners, the Bucksport Historical Society and the Penobscot County Genealogical Society. Other interests include astronomy, roses, opera, and film. Chris and Karen Johnson live in North Bucksport and are the parents of Valerie and Andrew Johnson. Sarah LeVine, Vice-President. A British-born anthropologist educated at Oxford, the University of Chicago and Harvard, Sarah is retired from the Harvard Graduate School of Education where she was a Research Associate for 27 years. She’s researched child socialization, maternal and child health (in Sub-Saharan Africa, Latin America and South Asia) and religion (in Nepal and India) and has authored many books and publications. She volunteers at a Cambridge, Massachusetts organization doing psychological evaluations of people seeking political asylum in the United States. She and Robert live in Massachusetts and on Toddy Pond in Surry, where she’s historian of the Toddy Pond Association. In summer, Sarah can often be found taking (or leading) long hikes in the Wildlands. Emily Fuller Hawkins, Treasurer. Emily was born in York and has lived on Deer Isle with husband David since 1979. She holds a BA from Middlebury College and a law degree from University of Maine. In 1990, she established Peninsula Property Rentals; from 2001-07, she was Chief of Service for Memorial Ambulance Corp of Deer Isle; she’s currently President/CEO of a real estate investment company. She was a founder and initial President of Island Heritage Trust, and a past President of The Pine Tree Society of Bath. 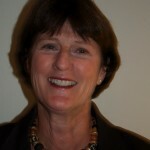 Emily is past President of the Trust. She enjoys sailing, skiing, tennis and hiking. Betty J. “BJ” Harris, Secretary. BJ has been a consultant pharmacist with Maine Veterans Homes (MVH) since 2011, during her faculty position at Husson University School of Pharmacy. Prior to Husson, Dr. Harris was Assistant Dean of Experiential Education and Student Services at NSU College of Pharmacy, 2006-2011. She joined academia after an extensive career with long-term care and specialty pharmacy care services, community chain pharmacies and hospitals. She is a grad of the University of the Sciences in Philadelphia and received her Pharm.D. from Nova Southeastern University. Besides volunteering with pharmacy associations, she sings weekly at Blue Hill Congo Church and is a member of the Jubilation Bell Ringers, Bagaduce Chorale and Evensong West singers. She live in Orland, is a licensed Maine Sea Kayak guide and has paddled with Castine Kayak Adventures for the past 6 years. BJ enjoys the Wildlands and other nearby natural areas, and semi-retirement now allows for a transition to support these activities. 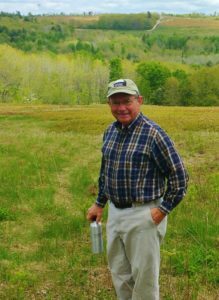 John Barlow is originally from Plymouth, MA, and moved to Maine for graduate work at U-Maine, Orono in 1965. 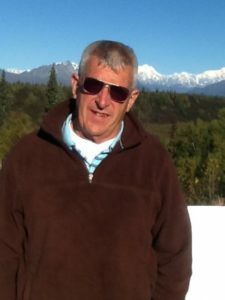 He worked on his dissertation at the Bureau of Commercial Fisheries lab in Boothbay Harbor (John received a BS from University of Rhode Island, 1965, Ph.D., U-Maine 1969, and did a Post Doctorate at Environment Canada in 1974.) After teaching for a year at UM he worked at Jackson Lab in 1970 and helped run the NSF Summer Research Program for college students. 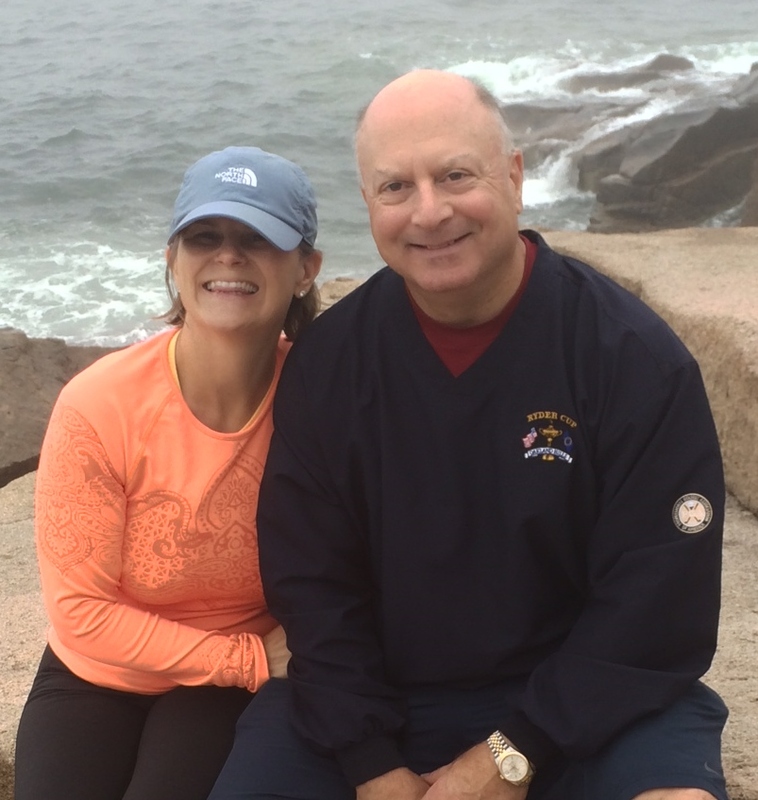 John and wife Diane moved to Orland in 1970 and he taught marine science and oceanography at Maine Maritime Academy, helped found the Corning School of Ocean Studies and became the Academic Dean, Provost and VP of Academic Affairs before retiring two years ago. In Orland, John was active in the Orland Fire Department and served as Chief for 25 years. He and Diane have two sons and four grandchildren. Carl Derian and wife Mary Durbin Derian are from Bloomfield Hills, MI, and share a summer camp at Alamoosook Lake with Mary’s mother and sisters. 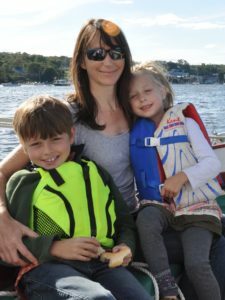 Carl, Mary and their four boys have enjoyed summers at Alamoosook eating lobster, kayaking, canoeing, hiking and boating, and Carl has mountain biked and hiked the Wildlands. Since 2000, Carl has been President of Forberg Scientific, Inc.—a distributor and manufacturers’ representative organization with a passion for customer service and innovative problem solving. After graduation in 1981 from Western Michigan University with a major in industrial marketing, Carl started his career with Parker Hannifin, then joined Forberg Scientific in 1984 as sales engineer. Carl is also on the Board of Directors of MCAA, an industry-related organization. Carl is anxious to ensure the growth and successful continuity of GPMCT. David Gross, son of GPMCT founder Stuart Gross, grew up in Orono and Bucksport. 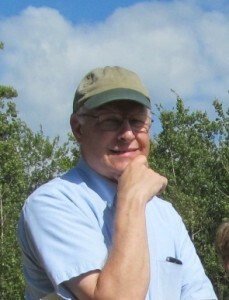 David spent 32 years as professor of English at University of Oklahoma, before returning to Maine in 2005 to join the faculty of the University of Maine Honors College, then serving as Interim Dean. David was a board member and past president of GPMCT from 2005 to 2011, and has continued to chair the Governance Committee. David and wife Stephanie live in Hampden in winter and on Bucksport’s Hancock Pond in summer. Jacqueline Hewett’s love for the outdoors began as a child playing in the woods behind her house. This early interest grew into a desire to fully understand environmental systems and Jackie studied Natural Resource Conservation at the University of Connecticut and earned an MES from the Yale School of Forestry and Environmental Studies. 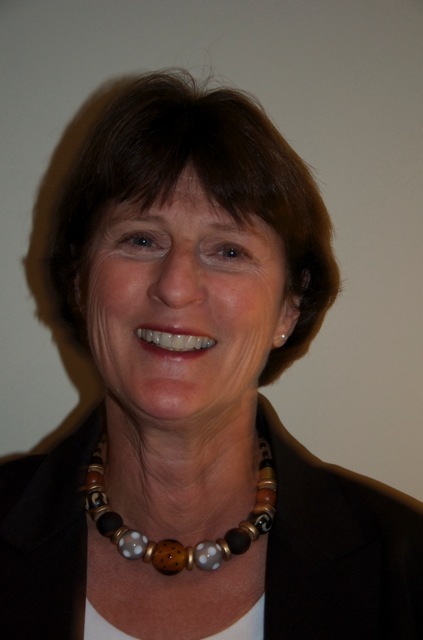 For 30 years, Jackie has worked in land use planning, development and conservation. She chaired several comprehensive planning committees, was a member of Raymond’s Board of Appeals and the Penjajawoc Marsh/Mall Management Commission in Bangor. 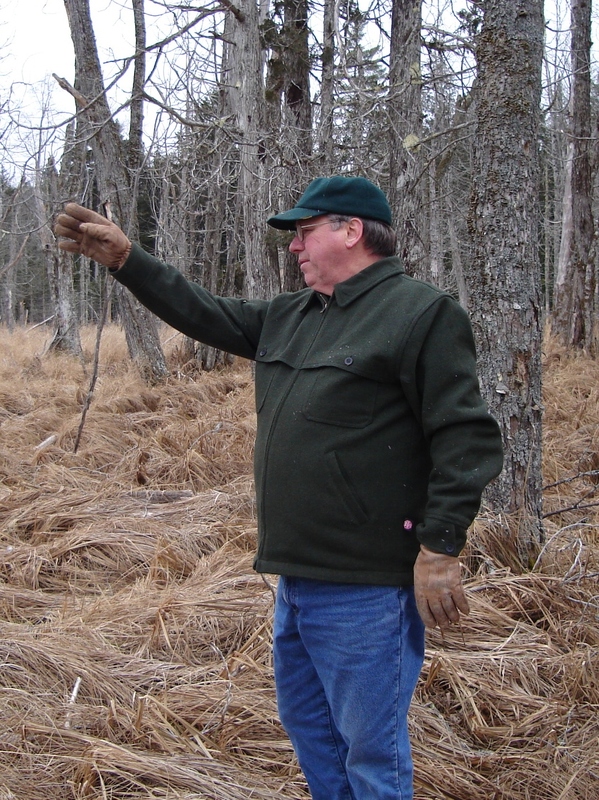 Jackie became a certified Maine Master Naturalist and enjoys leading forest discovery walks for children and adults. She and husband Chuck live in Holden and enjoy hiking, camping, canoeing and skiing, and riding their horses in the Wildlands. Jack MacBrayne and his wife Bonnie live in Orland. Jack graduated from the University of Maine with a BS in Chemical Engineering. After serving as a naval officer on an ocean-going minesweeper, he worked over thirty years in various capacities in the pulp and paper industry. Jack is currently chairman of the Orland Planning Board. He enjoys a variety of outdoor activities including hunting, boating, camping, snowshoeing, and golf. 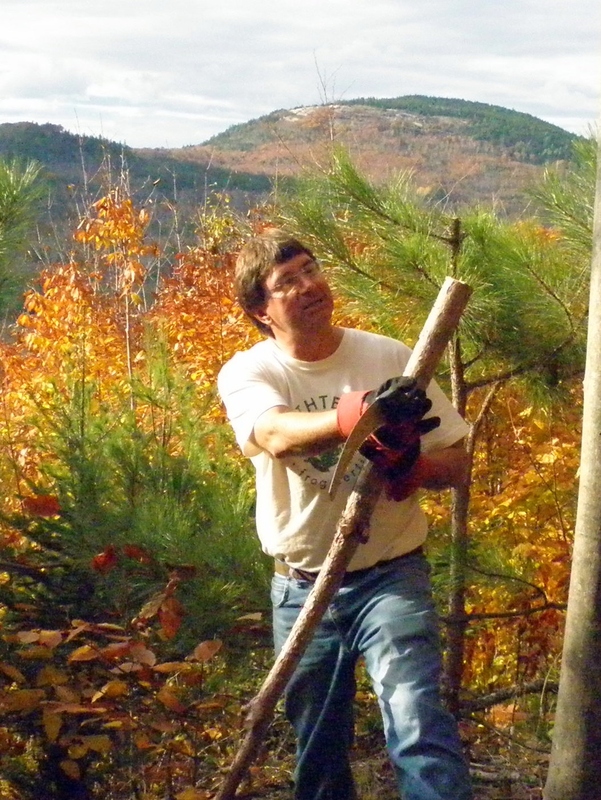 Jack serves on the Land Protection, Governance, and Finance Committees. Bob Mercer has lived in Bucksport all his life and spent every summer on Orland’s Craig Pond (including two as a Flying Moose Lodge counselor), where his parents built a camp the summer he was born. Bob bought land and built his camp there the year after he graduated from Maine Maritime Academy with a BS in Marine Engineering. He spent three years shipping, mostly in the Far East. He then felt the call to teach and earned a Masters in Education from Northeastern University, followed by nearly 25 years teaching science. The Mercer family also owns land in North Orland bordering the Wildlands, where Bob has hunted, fished and hiked for a long time. A former Maine guide, Bob enjoys hunting, fishing and canoeing and has served as president of the Bucksmills Rod and Gun Club. Bob and wife Jean still live in Bucksport and have three children, all educators, and ten grandchildren. Diane O’Connell was born and raised on a sheep farm in New Zealand, and traveled extensively after high school before completing her studies in law and accounting at Otago University in Dunedin, NZ. After working as an attorney in New Zealand, Diane spent a year teaching English in Cambodia and working for an NGO doing legal research and report writing. She immigrated to America in 2001 with her husband, Steve. She passed the Maine Bar Exam while living in Portland and working for an accounting firm. 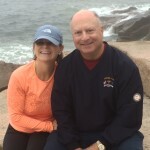 In 2003, Diane and Steve started a charter boat business in Belfast with their friendship sloop Amity and moved to Bucksport. 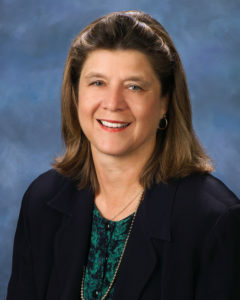 Diane also began working as an attorney with Jim Patterson in Ellsworth, and is now a partner in the law firm, Patterson & O’Connell, LLC in Ellsworth; her practice is real-estate based and has included conservation easements and work for land trusts. After 13 years, two kids (now at Bucksport Middle School), a dog and several birds, she’s grounded in the Bucksport community and enjoys local hiking and boating, hiking Great Pond Mountain often with family. GPMCT enjoys the assistance of ~50 active volunteers who help in various ways, from planning and building trails to drafting policies, to helping at educational events. Please visit our Volunteer Opportunities page for ways you can help and our latest Volunteer Profile.